We did it! All 30 days of September we parted with the number of items for that day of the month. The girls parted with a total of 465 items and the boys parted with a total of 465 items. 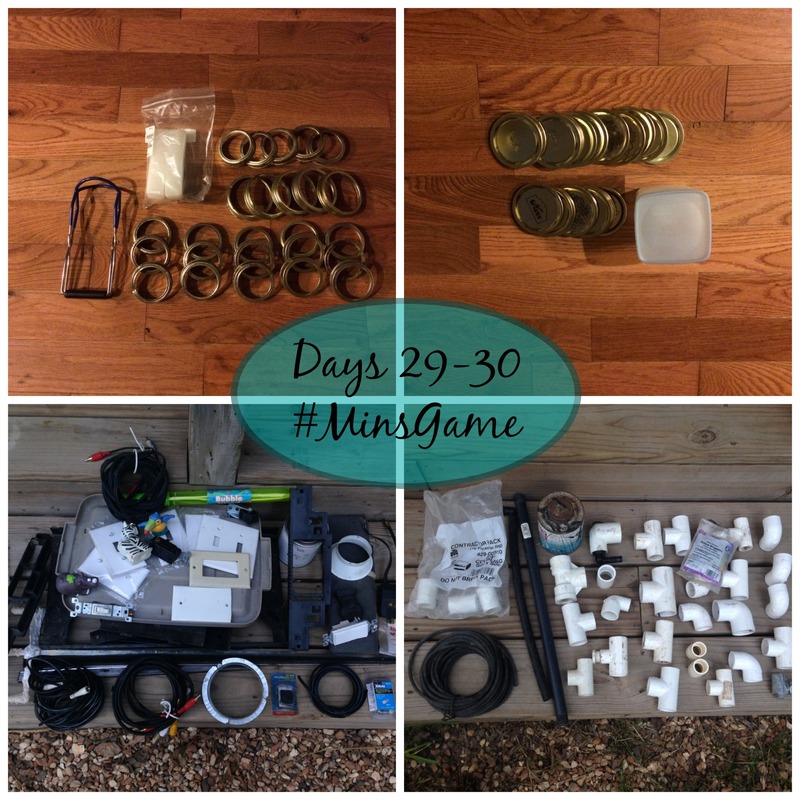 In total our household minimalized 930+ items! The last week of the month reinforced the importance of living a minimalist lifestyle. On the last Saturday of September, we came home to a gas leak. After repairing the leak and undergoing an inspection, we discovered that the gas lines in our home had been constructed illegally and were unsafe for habitation. We have been living in our home for over six years with this situation unknowingly. That was a frightening discovery. However, what was to follow was equally frightening. Our gas was shut-off until the gas lines in the entire house were replaced. Our minimalist minds wondered, do we really need the gas lines in the house? Our house is partially off-grid and we rely heavily on a wood burning stove for heat. We have gas wall heaters for a secondary heat source. The primary problem centered around our tankless water heater and kitchen stove which are gas dependent. We spent the entire week without the modern conveniences that our gas appliances allowed. Instead we made a list of meals that could be cooked using a crockpot, toaster oven, Vitamix, and waffle press. Aside from a Kitchen Aid mixer, these are the only small kitchen electric appliances that we own. Coffee, which we couldn’t live without is prepared with a french press after heating our water over a flame. No problem. Yes, we even heated a large pan of hot water over a flame for bathing – bathing all five of us. The weather was delightfully cool until the last day. It was time consuming to live without some of the conveniences, but not impossible. Funny though, we felt like we were camping in our own house. Early in the morning, outside to heat the water. The crisp air and the sound of the birds chirping was a delight. We are very fortunate to have wonderful friends who helped replace the gas lines over the weekend. Yesterday, we completed the process of the remodel by having an inspection and received the ‘go ahead’ to use our gas lines. I enjoyed every minute of my long, wasteful hot shower last night without any feelings of guilt. This morning I did miss the chirping of the birds and the cool morning air, though. October is upon us. While we won’t be formally playing the Minimalist Game this month I’ve continued the purging process of our clothing. I will continue to find things left and right to part ways with and in doing so increase the quality of our daily lives.